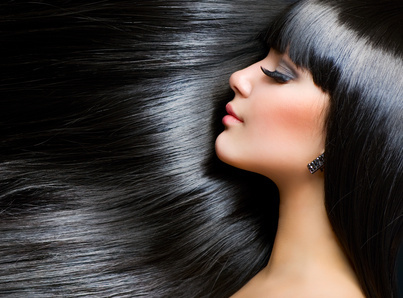 Non toxic beauty: this natural hair dye prevents allergies! UPDATE: I’m no longer reactive to shampoo or hair dye. But I’ve stopped dyeing my hair anyway. It’s just too toxic. I use 100 percent pure shampoo and conditioner. Please remember, we can be allergic to anything, even antihistamines and natural hair dye with antihistamine properties. Dealing with my hair nowadays reminds me of the first time I washed a baby. I was literally shaking with fear, convinced my sudsy fingers would plunder the baby’s unformed skull (soft spot), leaving me a tub of bubbly brain goo to contend with. Ok, so I’m not that freaked out by my hair routine (though I totally still am by babies!) but it’s certainly no fun. Now that I know shampoo, as well as food, makes me shake like I’m playing the carioca on my teeth, I work real hard not to get it on my skin. I’m so, so sensitive, to point of hilarity, or incredulity. I literally can’t touch most things – a Yasmina 2.0 feature that I share with a number of lovely ladies in my Facebook mastocytosis support group. Why the shakes? Who knows – could just be an extreme incarnation of my histamine disorder, multiple chemical sensitivity, mastocytosis, whatever, take your pick, all I know is it’s a pain in my bottom. My last experience with hair dye, though painstakingly painted only onto the ends and gingerly washed out as though the future of our planet depended on it not making contact with my skin, was a bit of a disaster. After suiting up like a charity shop outfitted deep see diver – complete with elbow length washing up gloves – I managed to step in a big fat shiny glob of it on the floor. Despite it being “natural” dye – I still paid for my vanity. It’s now time to re-do the ends but I’m not going down that route for my roots. If I ever go back on my determination to gracefully transition to silver fox, you can bet I’m going to go for the natural dye (commonly added to henna) I just found out is not only an antihistamine, it’s a potent anti-anaphylactic when applied to the skin. How about THAT?! Japanese Indigo (Polygonum Tontorum) natural hair dye prevents anaphylactic shock in rats! Inhibition of mast cell-dependent anaphylactic reactions by the pigment of Polygonum tinctorium (Chung-Dae) in rats. Read the full study here. PtP totally inhibited compound 48/80-induced anaphylactic shock with doses of 10(2) and 10(3) mg/ kg. When PtP was pretreated at concentrations ranging from 10(-2) to 10(3) mg/kg, the serum histamine levels induced by compound 48/80 were reduced in a dose-dependent manner…PtP inhibited dose dependently histamine release from rat peritoneal mast cells (RPMCs) induced by compound 48/80 and anti-DNP IgE….These results indicate that PtP may possess strong antianaphylactic activity and suggest that differences in bioavailability may cause differential activity following different administration routes. It sure brought a smile to my face when I read that it works best when administered orally, or right onto the skin (or head?). That and the fact that indigo black is my natural colour. The henna mixture I’m using nowadays is 1 part henna, 4 parts indigo. I also add in 1 part amla (also a natural antihistamine!) to kill henna’s fiery red. Please remember, anything can give us sensitive peeps a reaction. ALWAYS check with your doctor, test a little on your hand, and have a phone close by. Anyone out there a henna fan? Do you tolerate it?